Double feature movie nights, the last Sunday of every month. Check Instagram for listings. BYO camping chair. 6:30: Better Off Dead (1985): A teenager has to deal with his girlfriend dumping him among family crises, homicidal paper boys, and a rival skier. 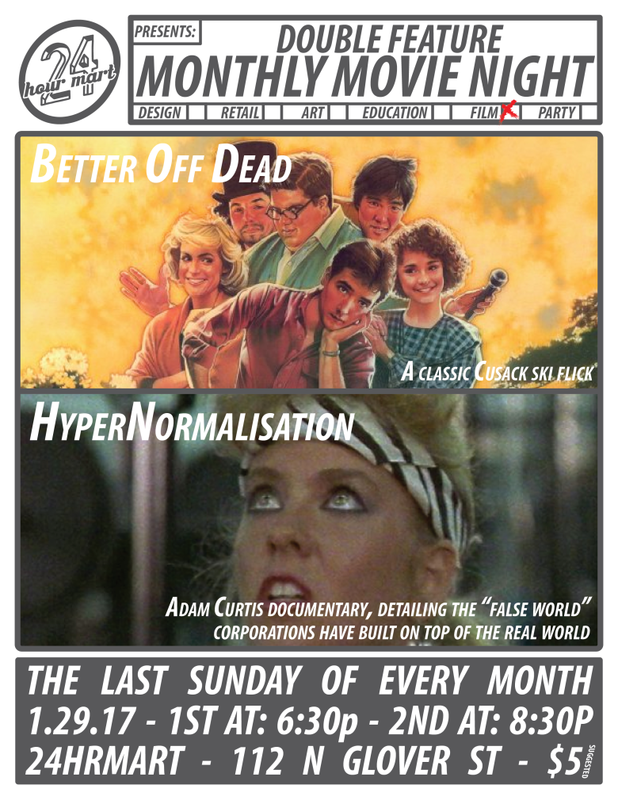 8:30: Hypernormalisation (2016): BBC Documentary from Adam Curtis that argues that since the 70s, governments, financiers, and technological utopians have given up on the complex “real world” and built a simple “fake world” that is run by corporations and kept stable by politicians.